The Golden G Ranch is located in Bee county, just outside of Skidmore Texas, right off of highway 181. This family owned ranch was formerly know as the Golden Y Ranch,, which can be put into your gps to easily find us. Carl and Debbie have been raising Brahman cattle since 1996, and have been at this current location since 2000, when the ranch was renamed. Our family has been in the cattle business since 1941. Grandmother, Leatha, ran a family grocery store in Luling Texas, and received a cow named Madell , as payment on one of the store accounts. Madell was kept in the yard of the cotton gin owned by the family, until grandfather, Tom, purchased land in the area to start the cattle business.Carl is a third generation rancher in Texas, when he followed Carl Sr. into the business. The ranch has been very successful in raising and selling F-1s and commercial Brahman cattle since the beginning. We replaced our Herford bulls with registered Brahman bulls about 8 years ago and put them on our commercial Brahman cows. In 2015 we started selling off our commercial Brahman cows and replacing them with registered Brahman cows. 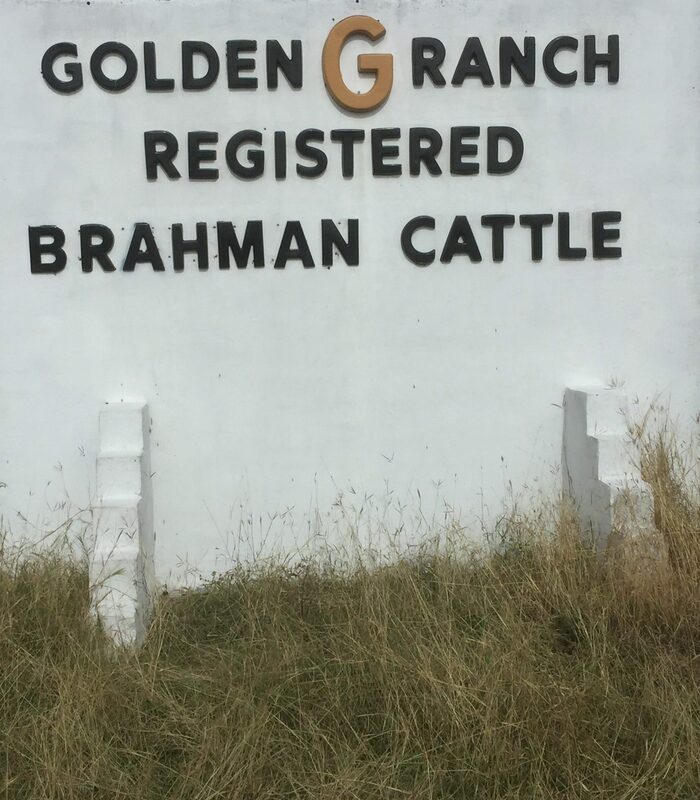 The ranch has been having strong offerings of commercial Brahman heifers and will continue to have more, and will soon have registered Brahman heifers and bulls for sale. Our first registered calf hit the ground in February of 2016. Although the Golden G Ranch in primarily concerned with cattle, we will still offer exotic deer hunts for as long as we have axis deer and black bucks on the ranch. Some of these animals can be viewed on this site.